High blood pressure or hypertension means high blood pressure in the arteries. Arteries are basically those vessels that carry blood from the pumping organ heart to all the organs and tissues of the body. Tension and stress can increase blood pressure. Normal blood pressure is below 120/80 while high blood pressure is 140/90 or above. The top value is called systolic blood pressure which corresponds to the pressure in the arteries as the heart contracts and then pumps the blood into the arteries. The bottom value is the diastolic pressure which is 80 or below in normal cases. Any increase in the value of systolic or diastolic pressure can result in developing cardiac disease, eye damage, hardening of the arteries, renal diseases and brain damage. These complications are the end result of high blood pressure. Children with high blood pressure may have the following signs of high blood pressure. 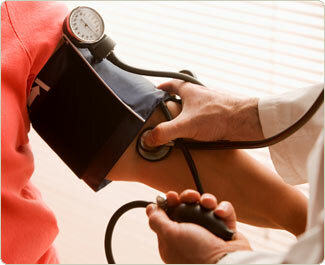 People who get diagnosed with high blood pressure should have their blood pressure checked as frequently as they can. Causes of hypertension are divided into two broad groups. Primary high blood pressure-no cause has been identified yet. Secondary high blood pressure-the underlying cause may be a kidney disease or a specific medication which a patient is taking. Risk factors for primary high blood pressure include:pregnancy,low birth weight,psoriasis,diabetes,mental stress, high fat diet, high salt intake, alcohol intake,smoking,physical activity, overweight family history, ethnic background, temperature and age.